Grab your camera and get snapping. This photograph hanging is perfect for hanging all those beautiful images locked away on your hard drive. 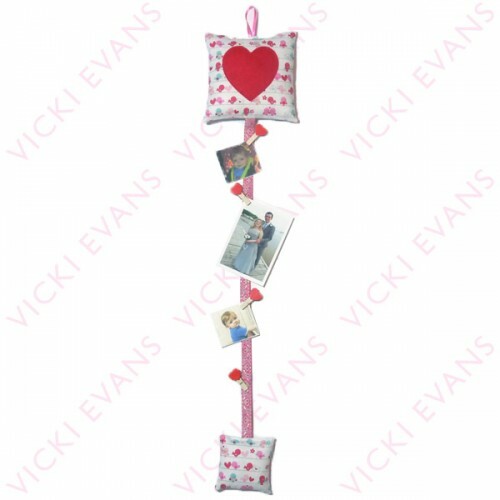 Simply peg your favourite images up on this cute padded hanging. 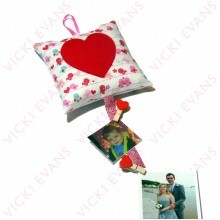 A great gift for valentines day and many other occasions. Two padded cushions made using Riley Blake's Lovey Dovey Collection fabric. 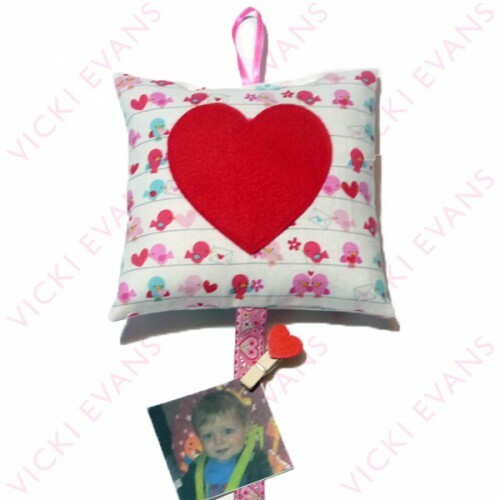 The top cushion has a red felt heart, with the cushions joined together with a cute heart ribbon. Each photograph hanging comes with 5 detachable pegs so you can add images of any size. Simply hang on the wall with the ribbon loop.